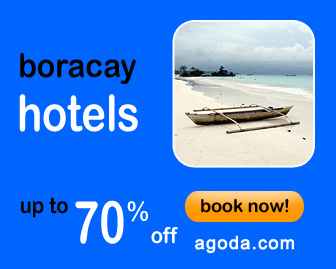 Boracay is one of the most popular places in the Philippines that offer a pristine white-sand beach. People living in the island and visitors of this paradise love to make Sand Castles or other designs that looks nice. Sand Castle in Boracay is one of the main attractions of the island. Usually visible during early mornings and evenings, these simple attractions normally has the current date carved to it so tourists in the island would love to take pictures and remember the date they enjoyed in this beautiful island. A Sand Castle is a three-dimensional work of art using the loose material consisting of grains of rock or coral. Sand castle makers use basic materials such as wood, slippers, pale, and cones among others to make their designs. Folks living in the island, who are asking for donations for their art, usually make the sand castle in the afternoon or at night and add some nice lighting to it. The picturesque view of the sand castle, together with the warm colors of the lights makes it more appealing. Tourists who want to add their name to the design pays a small amount to the artist for the latter to carve it in the sculpture. Another option to enjoy the sand castle is to demolish it together with your friends but the artist would ask for a P100 to P200 fee for the demolition of their design. During early mornings, when the sun rises in the east, the Sand Castle will look great because the details are very clear. The carvings will be very visible and it is during this time of the day when tourists are still very fresh. If you go to the island of Boracay, you will surely see one of these Sand Castles. Do not forget to take a picture of it every day because the design will change constantly. You can also make your own design to make it more personalized but be sure you know the tricks on how to make it sturdy. Simple things …. but very informative!